Originally imported into the US from the European continent, opera was seen by many as an elite art form representing antiquated interests. Nonetheless, the American opera repertoire expanded over the centuries and nowadays, American operas are written by Pulitzer Prize, Grammy Award and Oscar-winning composers, based on award-winning contemporary novels. Their direct and clear connection to modern society has been the inspiration to create PENTATONE's American Opera Series. 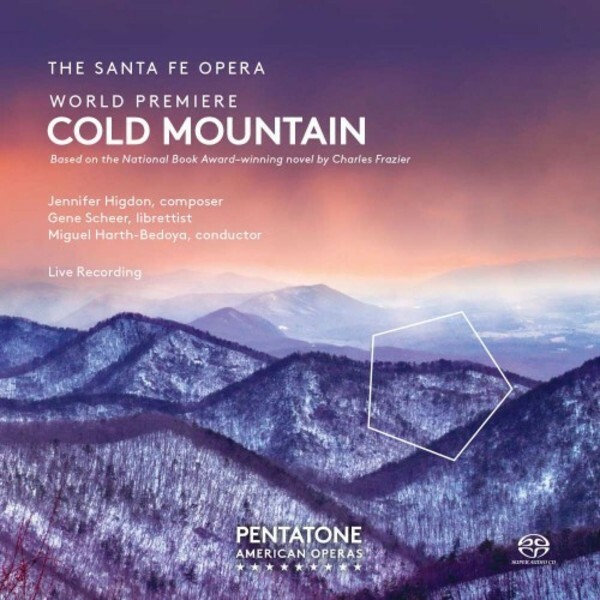 Cold Mountain, composed by Pulitzer Prize-winning American composer Jennifer Higdon, set to a libretto by Gene Scheer and based on a 1997 National Book Award-winning novel by Charles Frazier, is one of three operas that will be released in this series in 2016. It received its world premiere at the Santa Fe Opera on 1 August 2015 where it was performed by the Santa Fe Opera Orchestra, conducted by Miguel Harth-Bedoya and recorded live for this SACD album. It was co-commissioned by and is a co-production with both Opera Philadelphia and the Minnesota Opera.